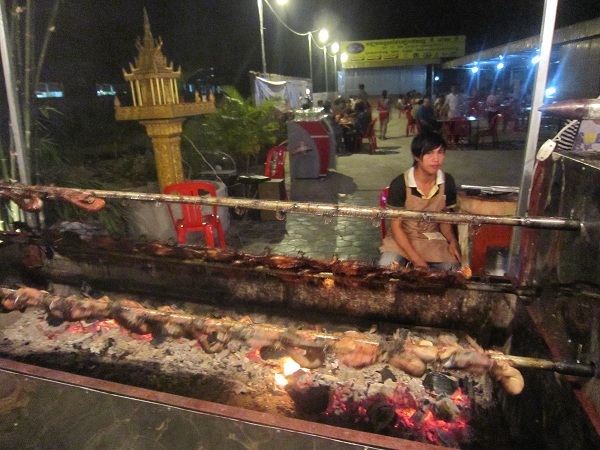 Yes, that’s right, so it was a skinny cow, but in Siem Reap this outdoor restaurant was a car wash by day and a barbecue joint by night. 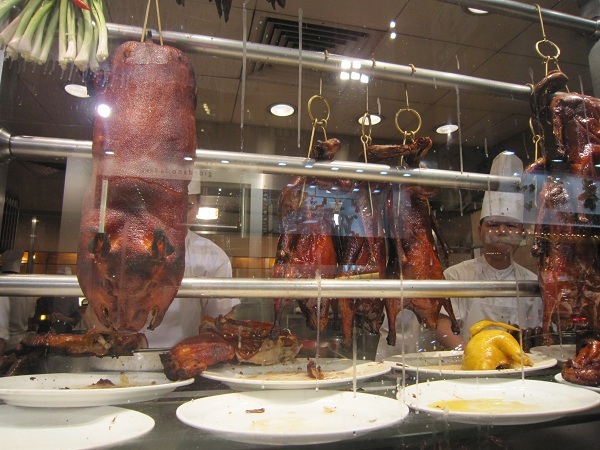 It served us up two tasty plates of barbecued beef, one rotisserie duck, an assortment of vegetables and condiments, and a litre of the local beer for the princely sum of $8. 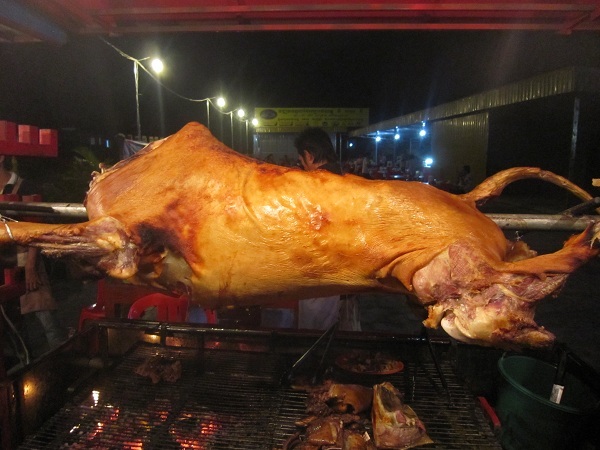 At that price, Luggage Boy (LB) and myself spent the entire meal contemplating our imminent retirement to Cambodia. Still in Cambodia, I couldn’t resist this description of a Japanese izakaya run by an English chef in Phnom Penh. So LB and I headed away from the bright lights of the city’s riverside – where most of the tourists can be found – to the small but chilled out Yumi where we enjoyed excellent pumpkin gyoza, finger lickin’ ribs and a deconstructed banoffee pie made with the fantastic local bananas which I am still thinking about. Good doesn’t describe it. 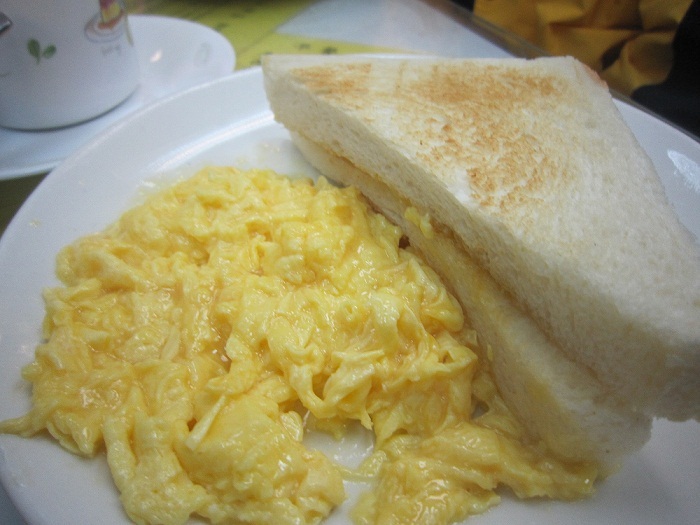 In Hong Kong now, the Australian Dairy Company in Kowloon has nothing to do with Australia and everything to do with what Hong Kongers like to eat for breakfast. 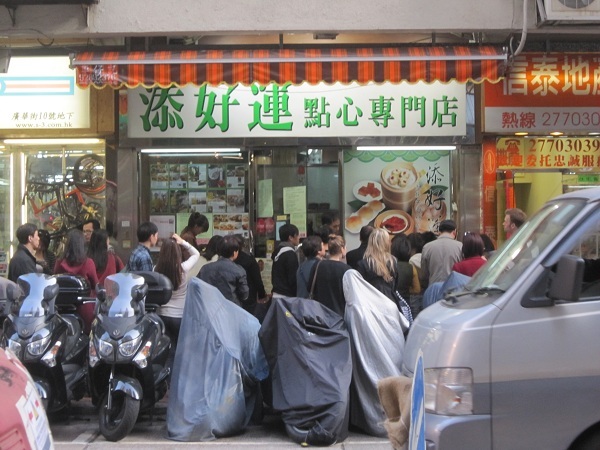 There’s a queue outside and the place is packed with white-shirted men seating and serving at a furious pace. 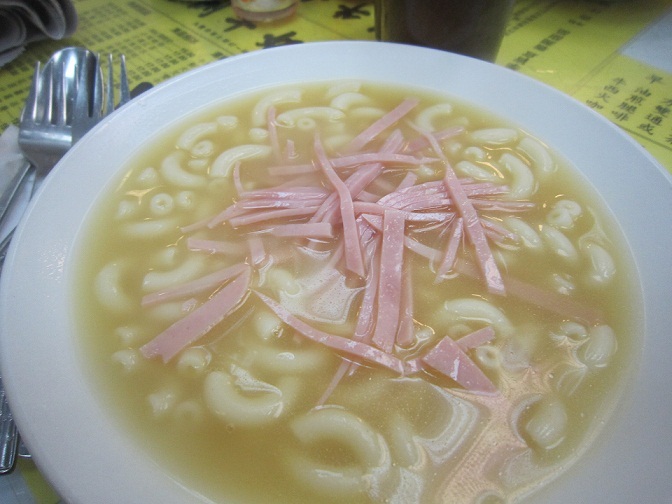 The macaroni soup with industrial ham is really blah but the scrambled eggs are beyond awesome. 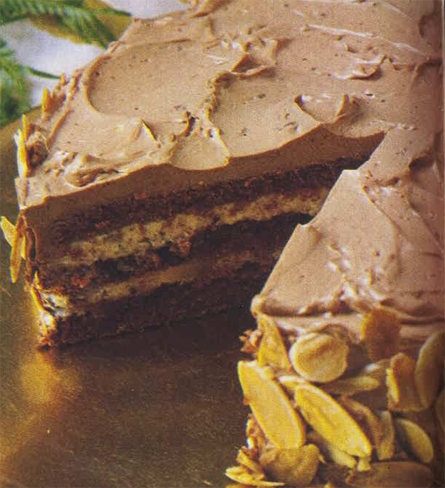 And while I shouldn’t admit my love of peanut butter and condensed milk on thick slices of over-processed over-white bread, I think I just did. 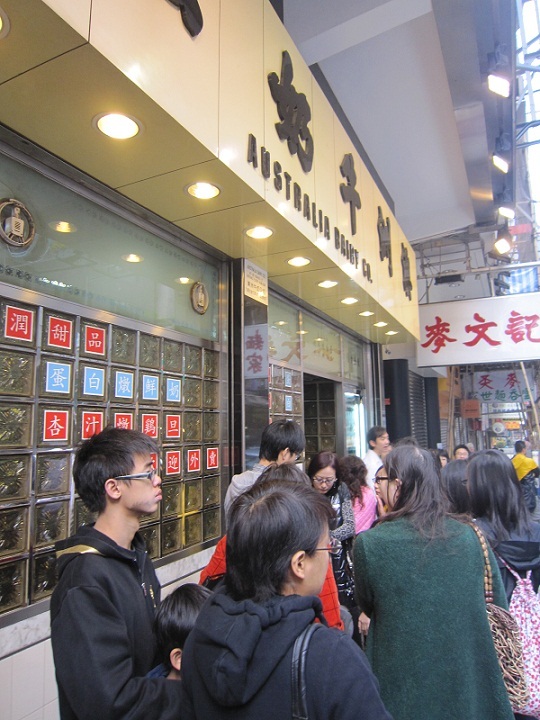 Also, the Hong Kong tea will put hairs on your chest. Don’t say you haven’t been warned. There are so many decisions one needs to make in life. Work or Uni? Marriage or singledom? Children or carefree happiness? 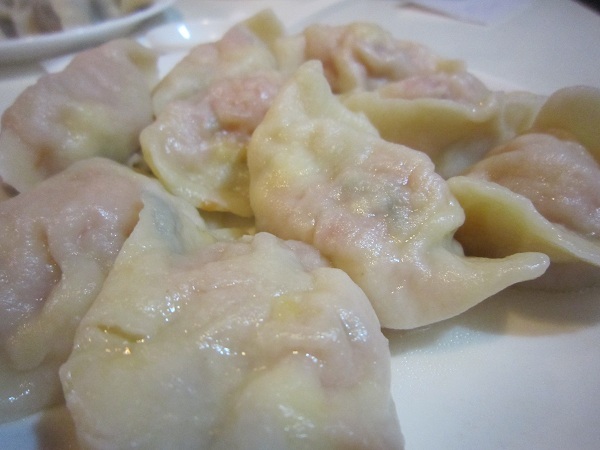 But, for me, the really important question is: Beijing dumplings or Shanghai dumplings? 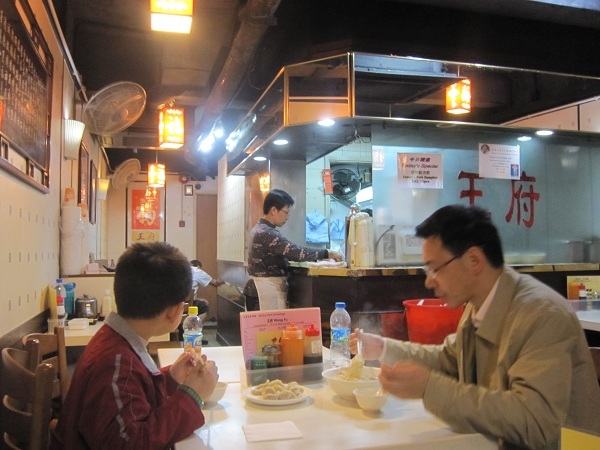 In Hong Kong, I confronted this dilemma at Wang Fu for Beijing and Dumpling Yuan for Shanghai, conveniently both located on Wellington Street in Central. 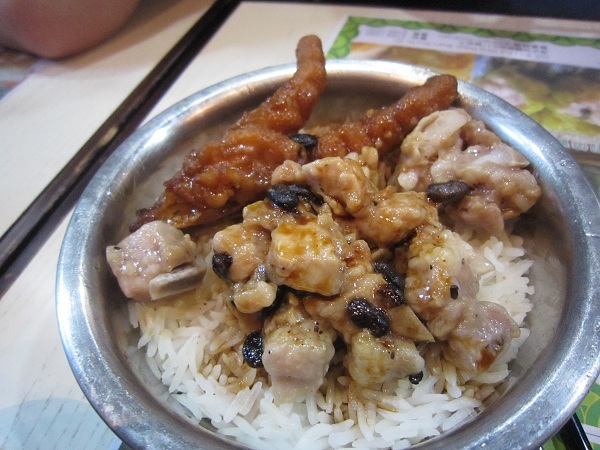 In conclusion, Shanghai wins – the wrapper is that bit thinner, that bit more delicate, which means you can really taste the superb pork-based fillings. 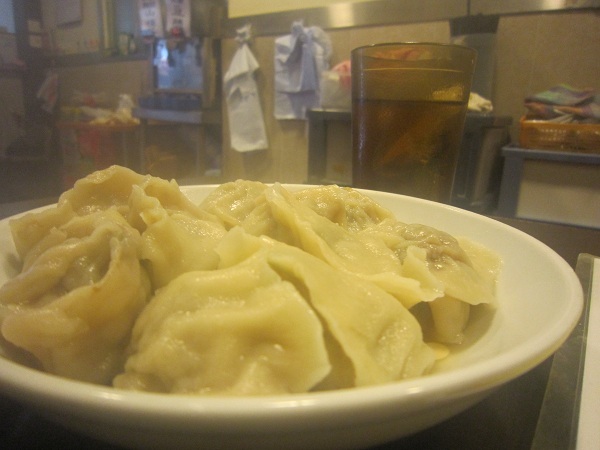 However, the Michelin Guide, which led us to these establishments, is wrong on one count – under no circumstances should you ever eat a mutton dumpling because there’s a reason nearly nobody eats that anymore. 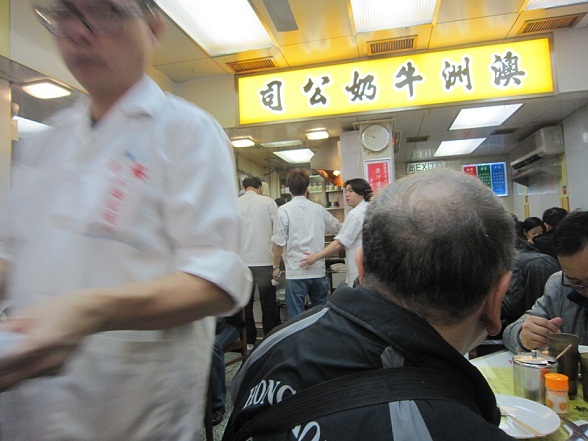 Speaking of Michelin, like every so-called foodie worth his or her salt, LB and I waited outside Tim Ho Wan – the world’s cheapest Michelin-starred restaurant – for about two hours. 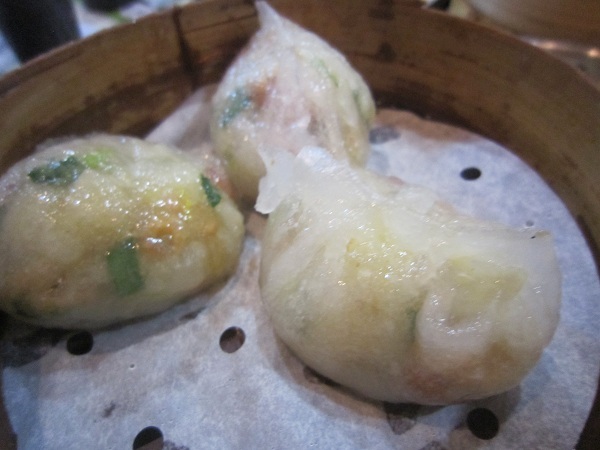 The hype around this place is big, so by the time we got in there we were expecting the seventh heaven of dim sum. 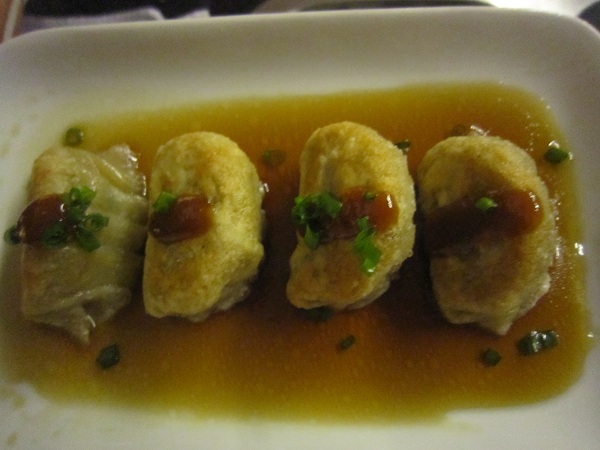 Not surprisingly, it could not deliver – the food was great, but not amazing, although the Chiu Chow style steamed dumplings were outstanding. 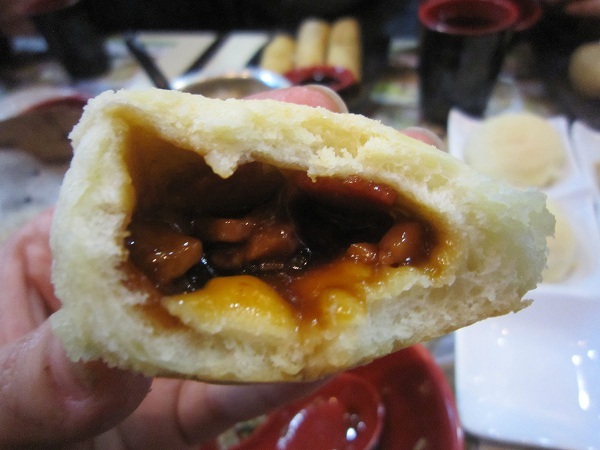 I ordered way too much, though all this meant was that we got to eat Michelin-starred barbecued pork buns for breakfast. Not a bad way to start a day at all. 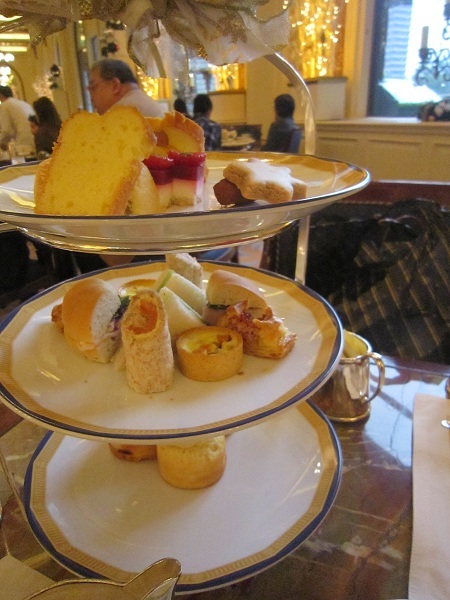 Alright, so it’s touristy and it’s kitschy and properly rich people would never ever do it, but afternoon tea at Hong Kong’s Peninsula is just fun. So I recommend it. 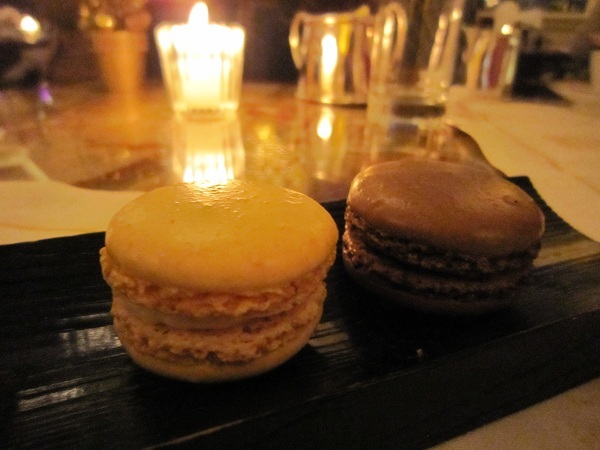 Especially the macaroons at the end. 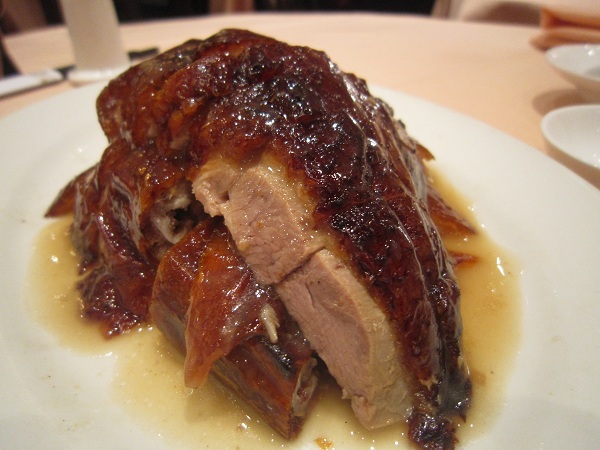 And, on our last night in Hong Kong, the roast goose at Yung Kee. With LB taken down by a stomach bug, it didn’t look like we were going to make it. 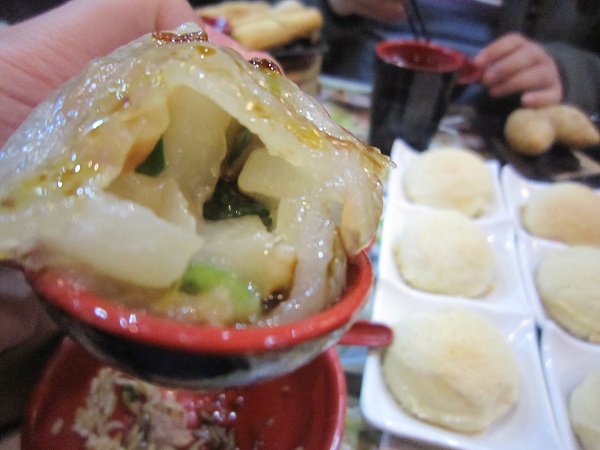 But, brave soldier boy that he is when it comes to his belly, he rallied and did not regret it. Gamey, fatty and so full of flavour, all stomach bugs were forgotten as we finished our trip on what can only be described as a roast goose high. 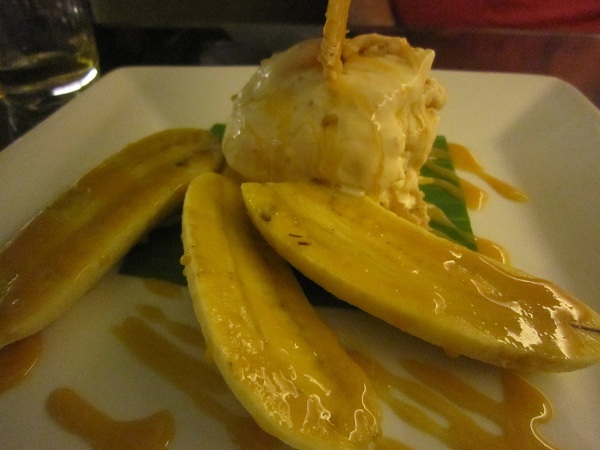 One of the best things I’ve ever eaten. .. ever. The way all trips should end, really. When I think of photographer Helmut Newton I think of fashion. More specifically, I think nudie, rudie Vogue-like fashion. 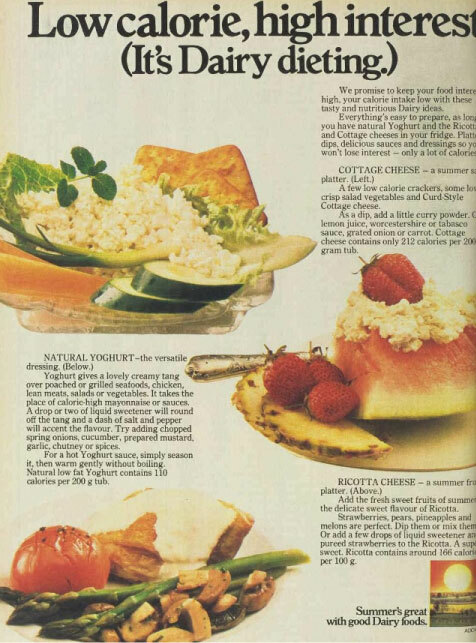 Which is cool, if you like that kind of thing, but I prefer food, in particular cheese. 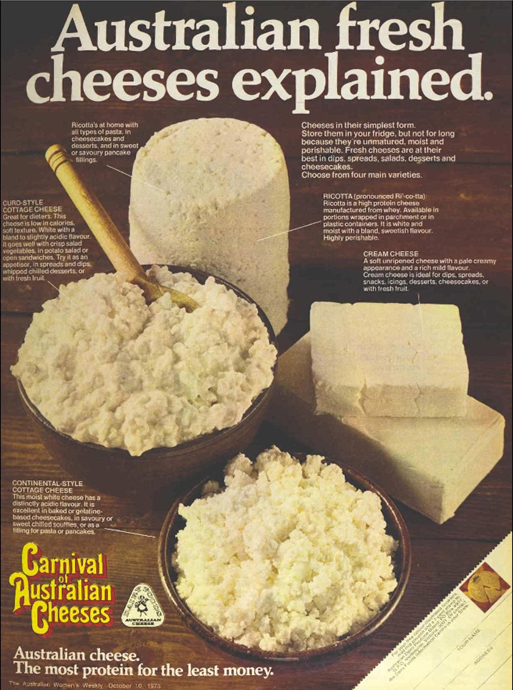 By the time this booklet came out, the Perfect Cheese Co. was known throughout Australia and was doing very well for itself – having increased production from 2,000 pounds in 1930 to 900,000 pounds in 1954. 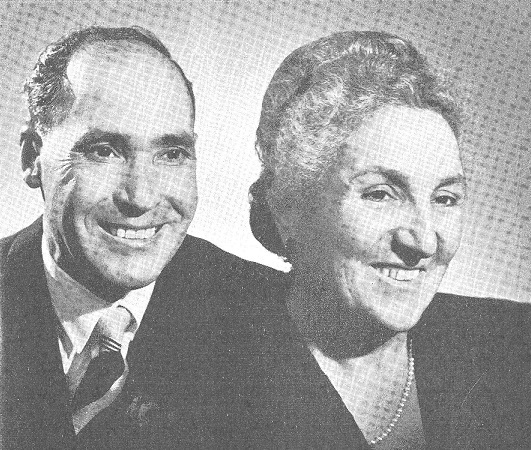 According to Randazzo and Cigler, the company is also credited with pioneering sheep-milk production and producing the first pecorino cheese in the country. The souvenir booklet – which you’ll find at the State Library of Victoria – is well worth seeking out. In both English and Italian it shows just how close the Italianos were to the Italian migrant community they primarily, but not exclusively, served. Who else would have a Catholic priest write the dedication to what is essentially a marketing exercise? At the same time, they weren’t limited by the dairying traditions they knew from the old country. Amongst the mozzarella and the ricotta, you’ll also find fetta in brine, kasseri and grated cheese in little packets. 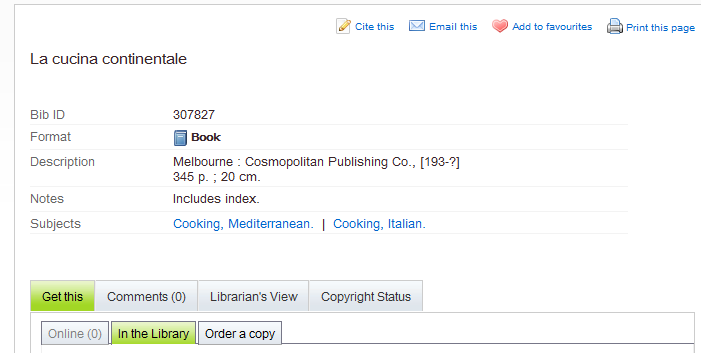 More evidence to support the fact that success in the food industry for Italians in Australia came from adapting to a new market, not exporting food traditions wholesale. Helmut Newton Foundation . “Biography.” Helmut Newton Foundation. <http://www.helmut-newton.com/helmut_newton/biography/> (24th October 2011). 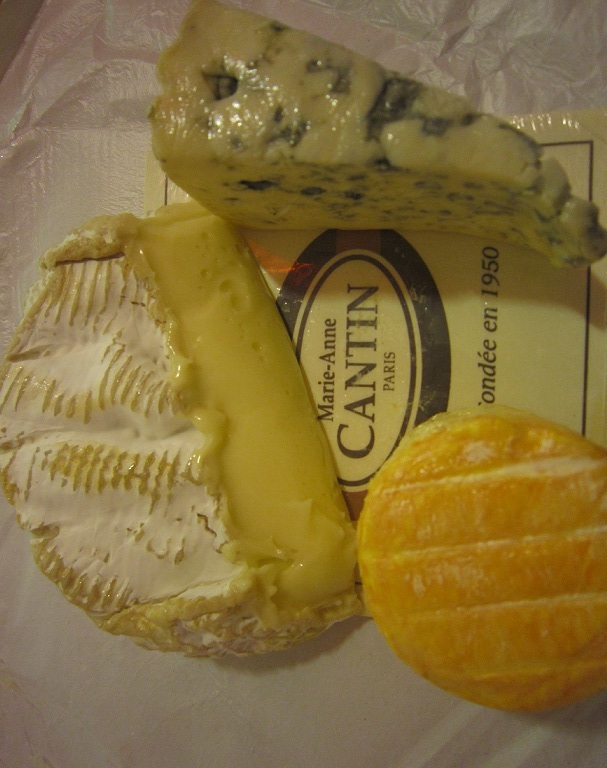 Perfect Cheese Co. 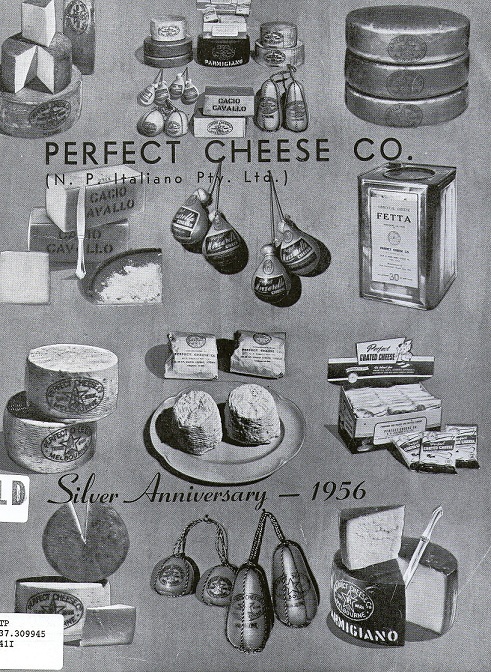 Perfect Cheese Co. – Silver Anniversary 1956, South Melbourne, Vic. : Freelance Press,1955. Randazzo, Nino & Cigler, Michael. The Italians in Australia, Melbourne : AE Press, 1987. 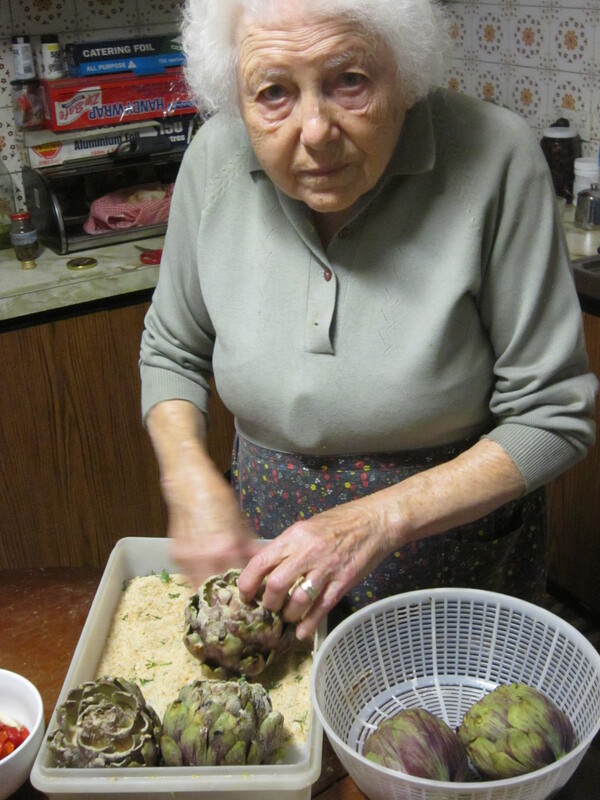 Nobody makes carciofi like this woman, my grandmother. 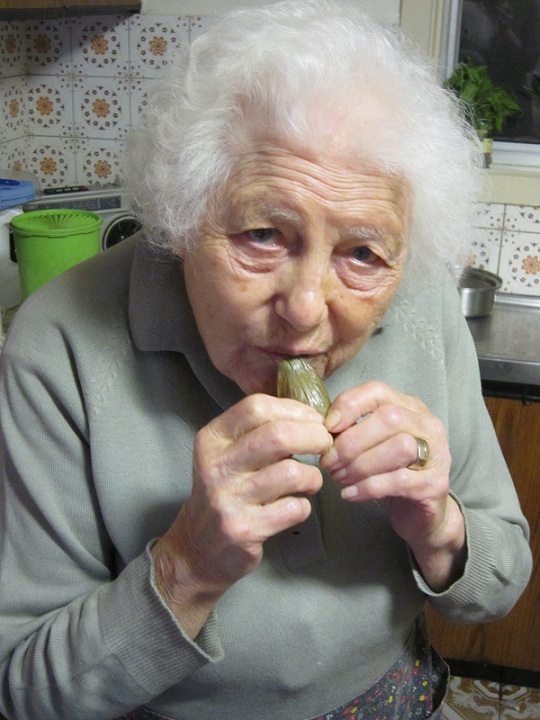 When I tell nonna that most artichoke recipes call for a lot of the leaves to be cut off, she looks disgusted. 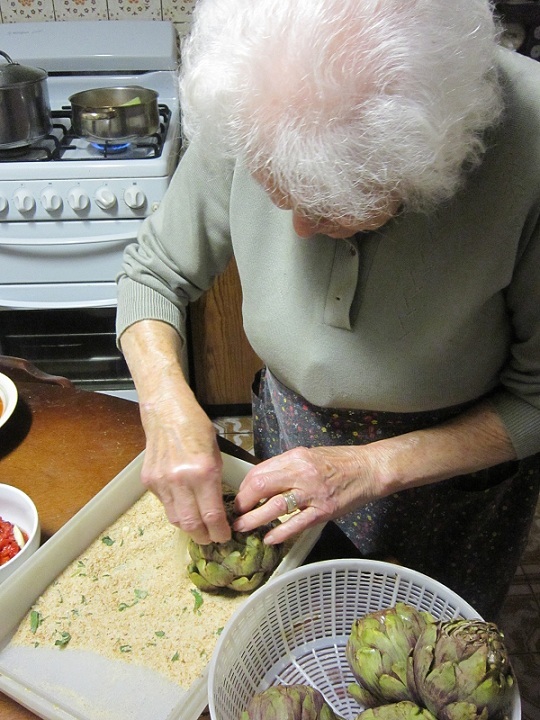 Nonna is showing me how to make artichokes – carciofi – the way she has always made them, with breadcrumbs, parsley, garlic and not much else. Nothing, well nearly nothing, gets cut off and thrown away. 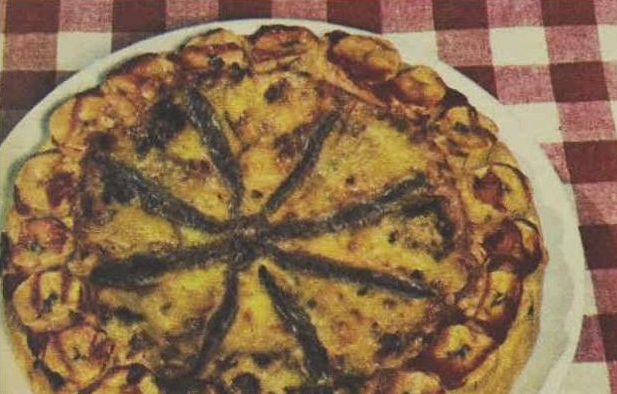 As I ponder nonna’s obsession with Americans and wealth – not a day goes by where she doesn’t mention their wasteful, extravagant ways – she shows me how to open up the artichoke with my hands and sprinkle a mix of breadcrumbs, parsley, salt, pepper and parmesan into each one. 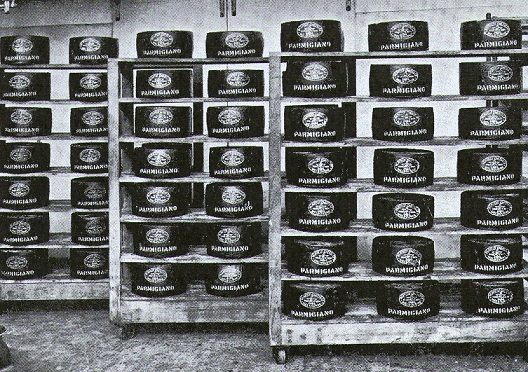 As always, the question of quantity comes up. How much breadcrumbs, parsley, salt, pepper and parmesan? 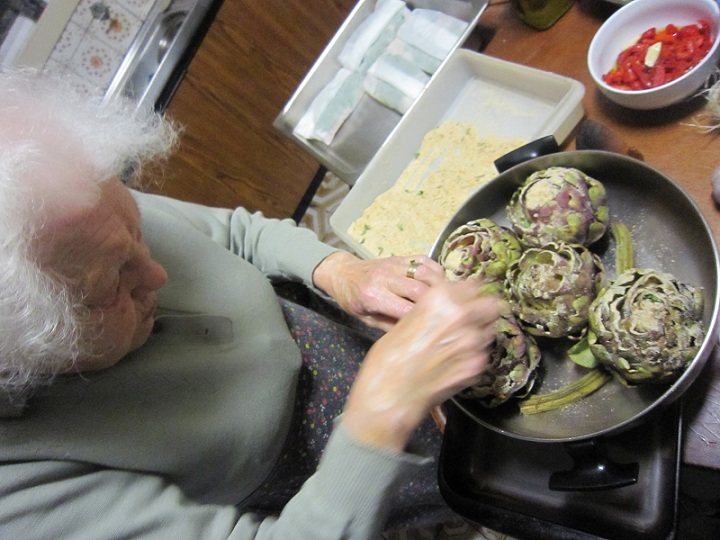 Nonna moves the stuffed artichokes into a pan. She apologises. Nonna is a serial apologiser. It’s like her diabetes – a disease. She always does it in English too. It is never “mi dispiace” but always “sorry, sorry”. I take a photo. Nonna isn’t happy with the five artichokes in the picture. She grabs two stalks and puts them in the empty spaces. 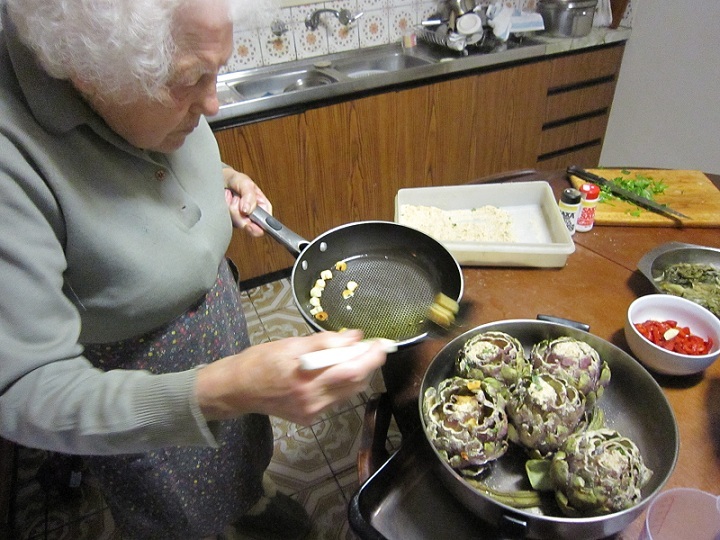 As browned fried garlic is poured over the carciofi and they are put on the stove with a little water to cook, I notice how much else nonna has made for dinner. She has already prepared chicory and roasted red peppers, the fish is in the oven and broccoli soup is bubbling away. She tells me she is going to put ravioli in the soup. I gasp. My father will have (another) heart attack. Ravioli, in the world of Romano Cammarano, does not go in broccoli soup. It will be a controversial move on nonna’s part. 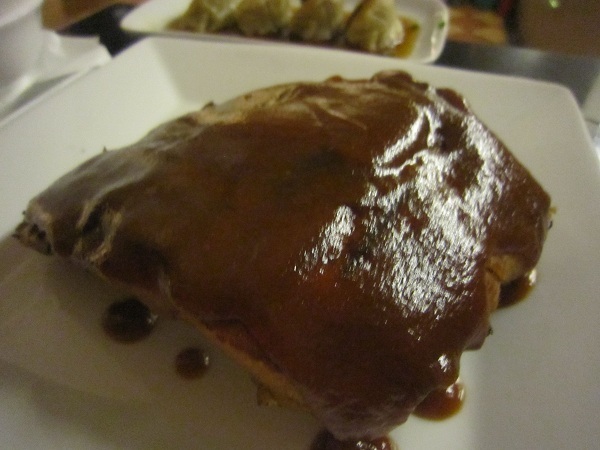 But she likes “fantasia”- imagination – in cooking. And she will do whatever the “fantasia” tells her. It’s telling her to put the ravioli in the soup. I warn her about Romano. She shrugs and puts the ravioli in the soup. Later, predictably, Romano Cammarano turns his considerable Roman nose up at the dish. But nonna has been true to the “fantasia”. That is what is important here. 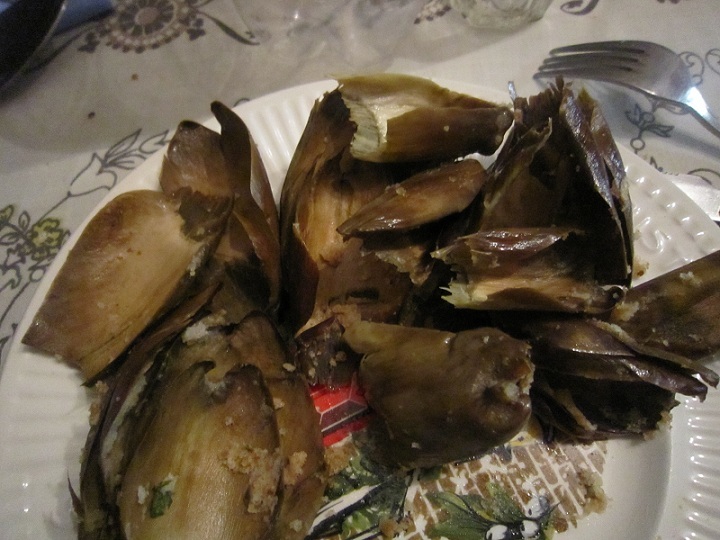 The carciofi are cooked when a leaf comes clean out of it and you can easily scrap away the breadcrumby, artichokey goodness at the bottom of each leaf with your teeth. You do this over and over, making a pile of discarded leaves on your plate, till you get to the payoff for all your hard work – the heart. 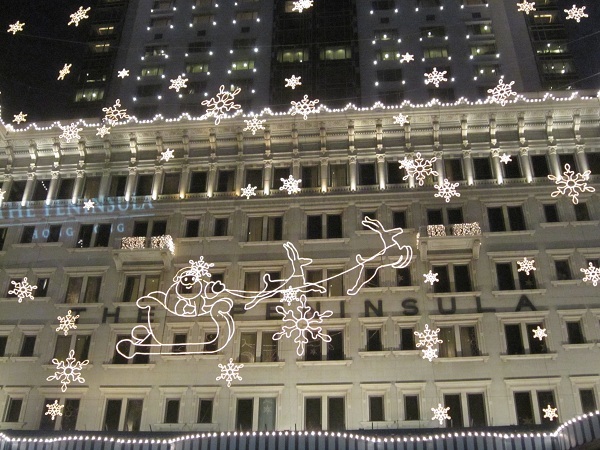 Some unscrupulous members of your family might try to steal the heart. This is an offence and should be dealt with severely. Carciofi cooked like this might be the last bastion of true wogginess. I notice funny looks from my colleagues when I eat them at my desk, piling up the waste paper basket with artichoke leaves. I guess I will never work at BHP. This, however, is not a problem. 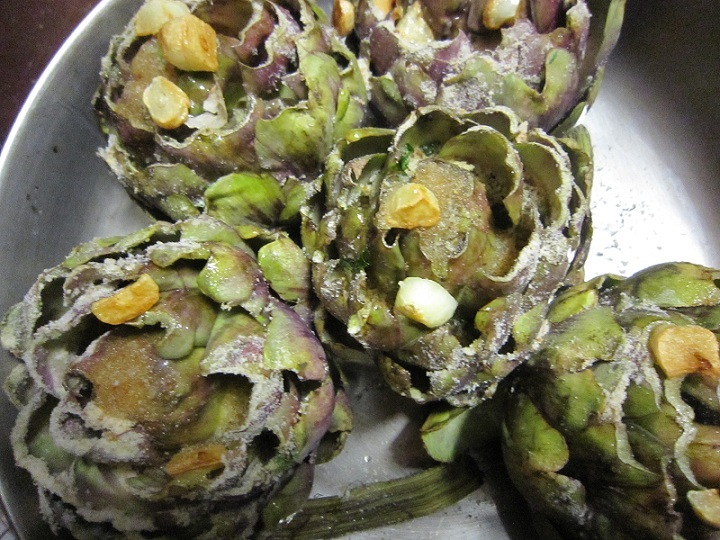 It just means there’s more carciofi for me. Mix together the breadcrumbs, parsley, Parmesan and salt and pepper. 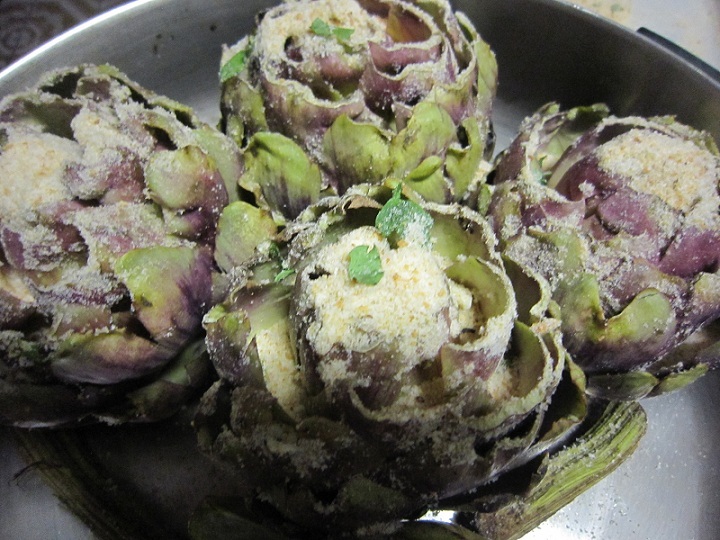 Open up the leaves of the artichokes with your hands and sprinkle the breadcrumb mixture over them, making sure you get plenty between the leaves. Place the artichokes in a snug pan with high sides. In the meantime, fry the garlic in a considerable amount of olive oil till it browned. Pour the garlic oil over the artichokes. Put the pan over medium heat and pour in enough water to come half-way up the sides of the artichokes, add a pinch of salt, and half cover with a lid. 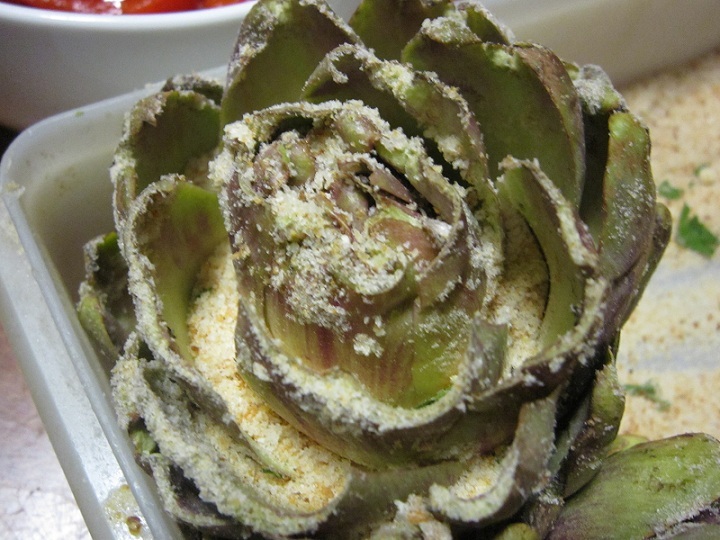 Cook until a leaf comes away easily from the artichoke. It should take about 45 minutes. Or less. Or more. Don’t let the water dry out – add more if you need it. And remove the lid to dry them out if there’s too much water.